An Air France jet carrying 228 people from Rio to Paris is missing, and officials say it may have run into lightning and strong thunderstorms over the Atlantic Ocean. Brazil has begun a search and recovery mission off its northeastern coast, and have found some floating debris they are trying to positively link with the missing plane. If all 228 people were killed, it would be the worst commercial airline disaster since 2001. Longtime international commercial pilot DJ Frost can give your ... Maggiori informazioni viewers and listeners the inside-the-cockpit perspective. He is a South Florida based pilot with 29 years experience in the air (including many as a Captain for U.S. Airways), and has extensive media training. He currently flies international routes from the tip of South America to hot spots in the Middle East. Frost recently flew the exact route for Air France from Brazil to Paris as the currently missing plane. He has actually piloted a flight that was struck by lightning, and saw the fireball come through the cockpit and down the passenger aisle of the plane. Frost is rated on the Airbus 320, Boeing 737, 757 and 767 along with the McDonnell Douglas MD-11, and is a graduate of Embry-Riddle Aeronautical University. Frost is also a DISC certified human behavior consultant who specializes in human personality factors, important for flight crew coordination and cockpit resource management. This would give him a unique outlook on what the pilots, crew and passengers may have encountered on this flight. 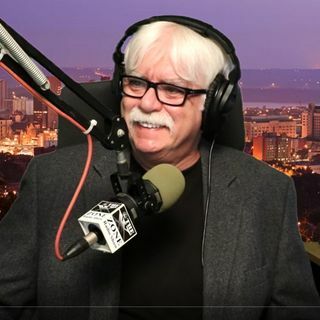 He has appeared on FOX NEWS CHANNEL, Westwood One, Radio America, America Tonight, KGO, WLW, Coast To Coast AM, WFLA, CKNX, WJFK FM, Talk Radio Network and many more.